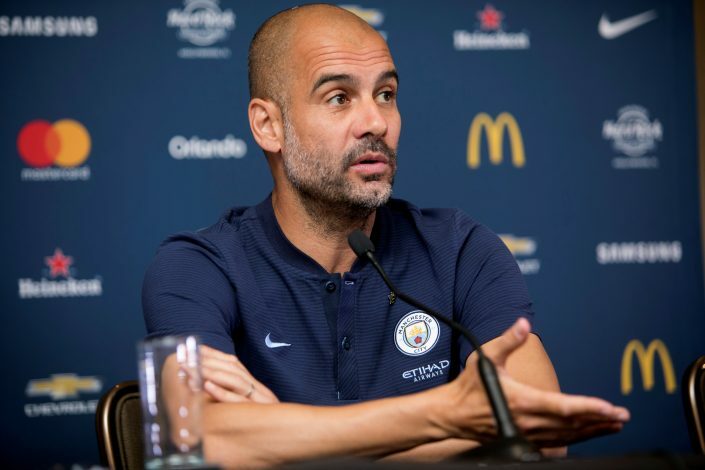 Just when United fans thought the absence of Paul Pogba would be helped out by David Silva’s injury, Pep Guardiola has delivered some brilliant news for his club’s supporters. The Spaniard, who was expected to undergo a longer recovery period, has been confirmed to be fit enough to make a convenient return for the upcoming Manchester Derby at Old Trafford, after missing his side’s previous Champions League outing due to a thigh injury. The new developments were updated by the former Barcelona boss. With Silva and Kevin De Bruyne’s deadly midfielder duo re-established, the Sky Blues have probably been awarded a mental and offensive boost just before the much anticipated fixture. On the other hand, Pogba, whose suspension was not even appealed against by the Red Devils, will unfortunately be downgraded to a mere spectator during the match, whilst also giving a huge advantage to City. Nevertheless, with the Spanish midfielder’s fitness doubts no longer being a concern, another fierce performance from Guardiola’s side can be expected at the Theatre of Dreams.